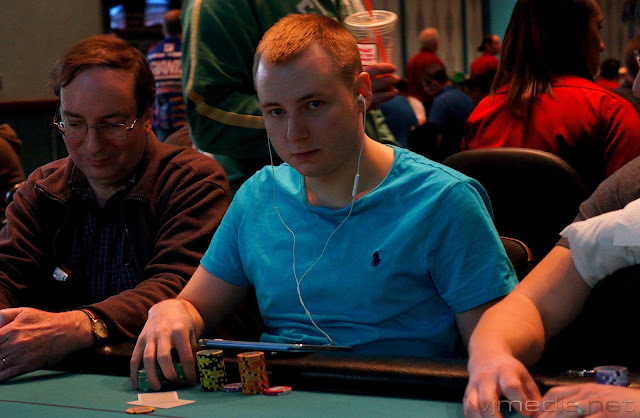 Laurence Olanyk leads the field into Day 3 with 696,600. 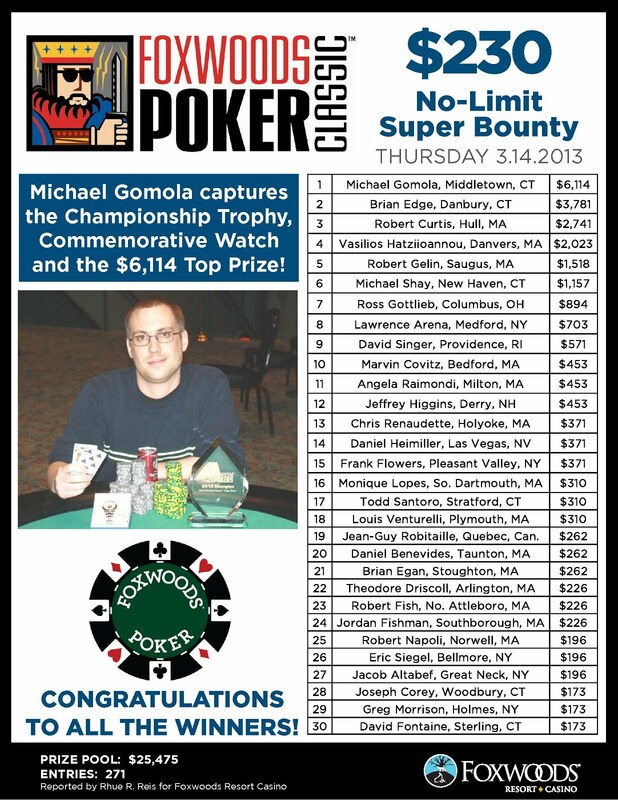 Play has come to an end on Day 2 of the $2,500 Foxwoods Poker Classic Main Event with 30 players remaining. The final chip counts and Day 3 seat assignments will be posted here on FoxwoodsPoker.com as soon as they are made available. The clock has been stopped with 15 minutes remaining in the day and all tables will each play six more hands. 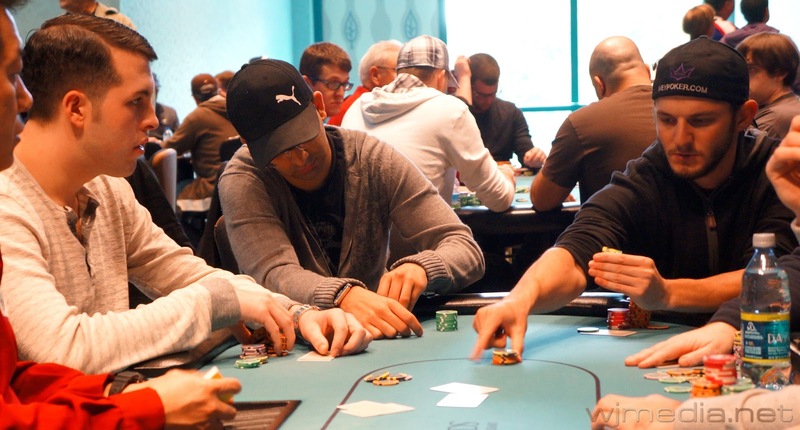 At that time, play will conclude on Day 2 of the Foxwoods Poker Classic Main Event. The players in the $2,500 Foxwoods Poker Classic Main Event are currently on their second break of the day. When play resumes, the blinds will be increased to 800-1,600 with a 200 ante. 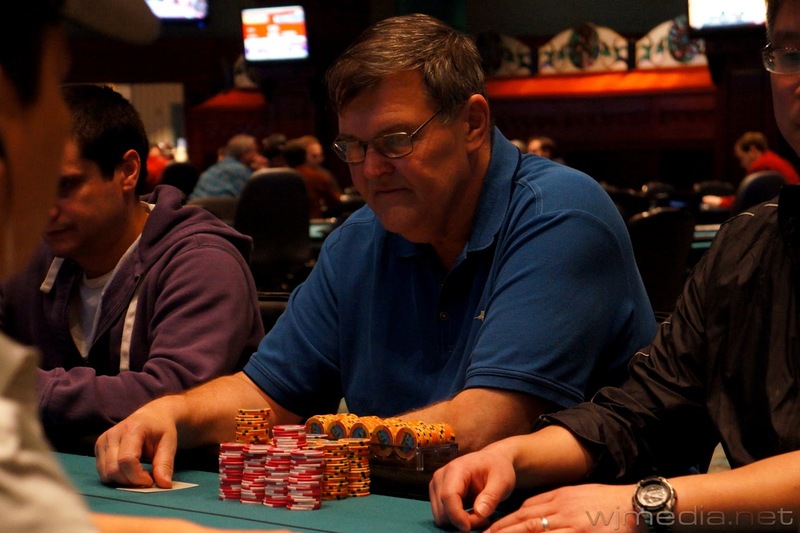 With 62 players remaining, the average chip stack is now 92.900. 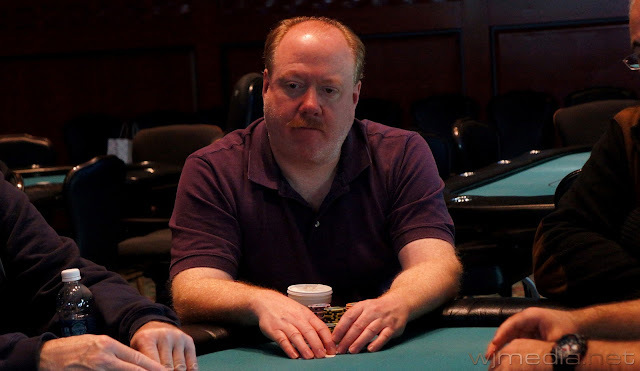 Foxwoods Poker Classic $1,000 No-Limit Champion Rob Brown on Day 2 of the Main Event. 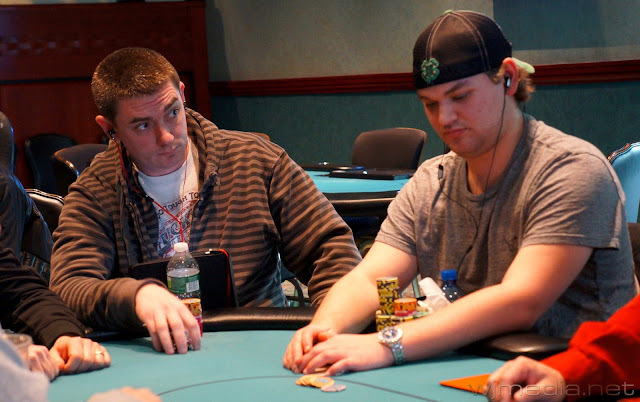 Andrew Badecker (left) looks on as Jonathan Jaffe puts out a bet. 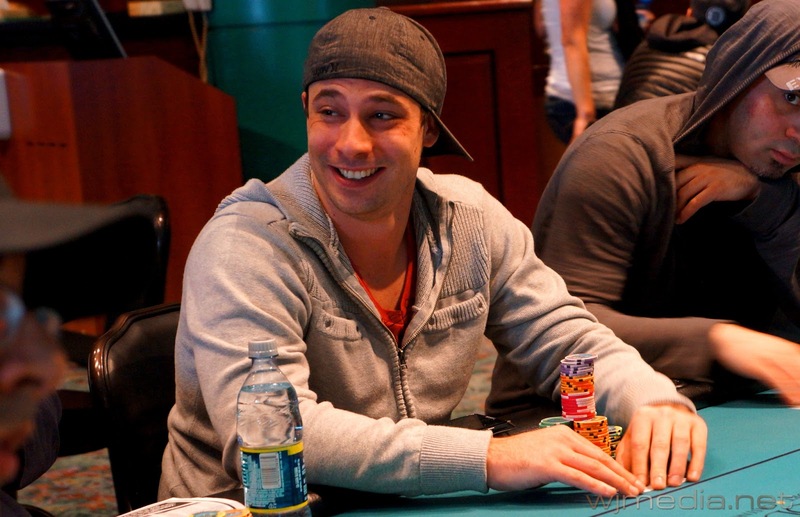 The players have just returned from the first break of Day 2 of the $2,500 Foxwoods Poker Classic Main Event. 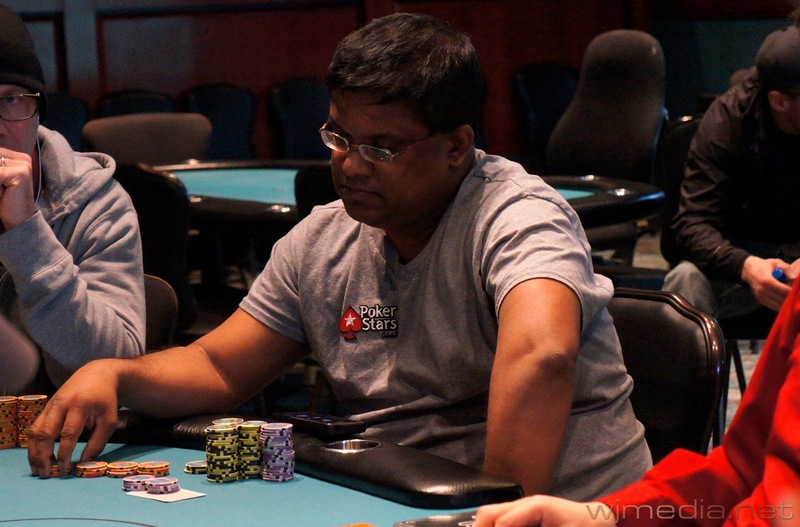 There are currently 79 players remaining and the average chip stack is now just under 73,000. This is the third level of Day 2 and play will continue until the completion of the eighth level of play today. We had a total of 192 entrants in the $2,500 No-Limit Hold 'em Foxwoods Poker Classic Main Event. Day 2 of the Foxwoods Poker Classic Main Event is Underway! Cards are in the air on Day 2 of the $2,500 No-Limit Hold 'em Foxwoods Poker Classic Main Event. A total of 92 players advanced from Day 1 and registration remained open until play started. The blinds are now 300-600 with a 75 ante. Final numbers and payouts will be posted as soon as they are made available.